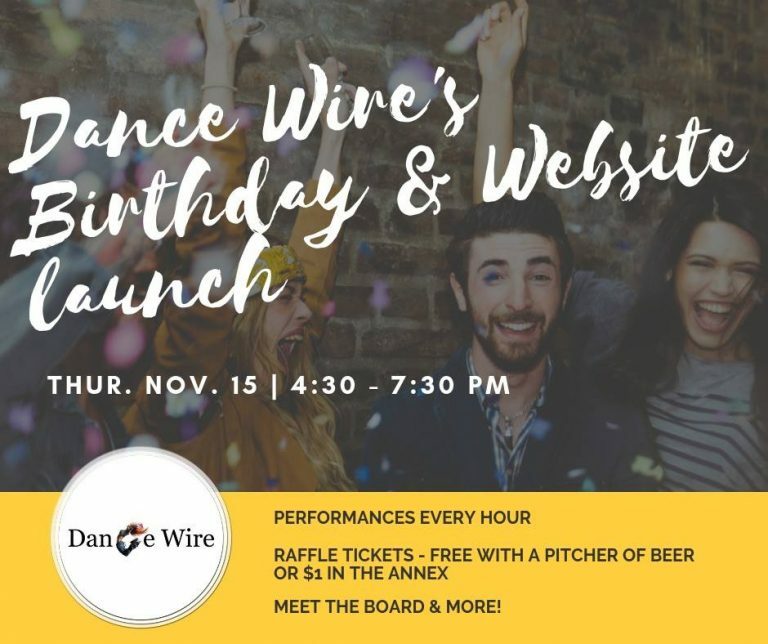 Join us to celebrate Dance Wire's 5th birthday and check out our new website! We are having a free party at Migration Brewing with performances every hour, raffle prizes and quick trivia. Stop by to see demos of the website, meet our new board members and have a good time.